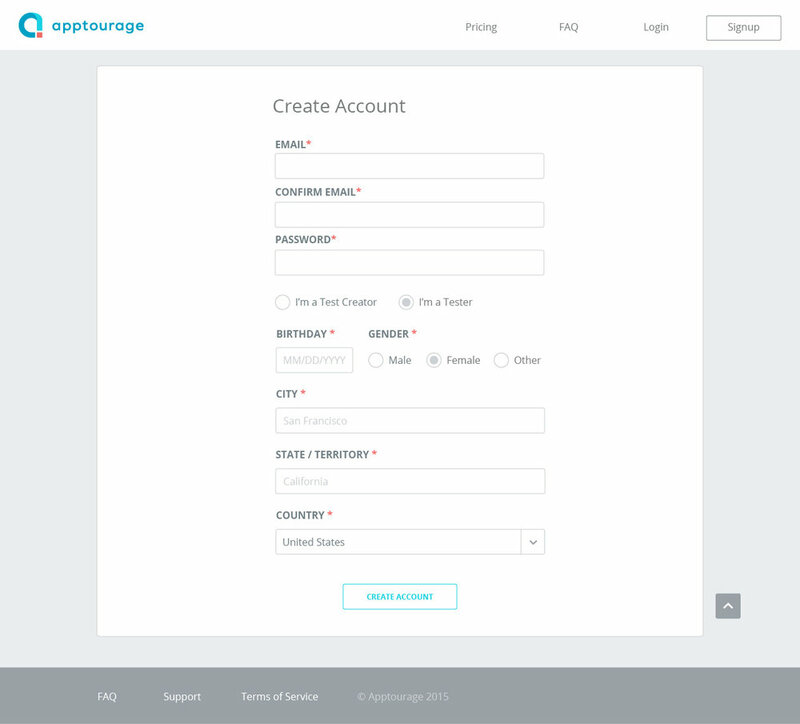 Apptourage is a usability testing platform that helps pair developers and designers with a pool of non-industry users across many demographics—and also pairs testers with money. Building a startup is no easy feat, but at First Person I have been helping several meet their MVP goals. First Person’s team provided our expertise in user experience and our ability to develop a well designed, working product. Nick Paranomos, CEO of Apptourage approached First Person to help realize a desire to make a platform that allows designers and developers the ability to test their user interface designs with anonymous users, getting valuable feedback before any code is written. First Person would be in charge of creating the brand identity, as well as taking over the entire process of creating a working application, including user experience and design, as well as development. We helped release two phases of design and development for the platform, improving the functionality of the site, and adapting to customer and tester demands. Apptourage is still developing, but has had early success, with tests being completed within minutes of posting, showing an eager user base ready to earn money by giving designers meaningful feedback about their interface design. 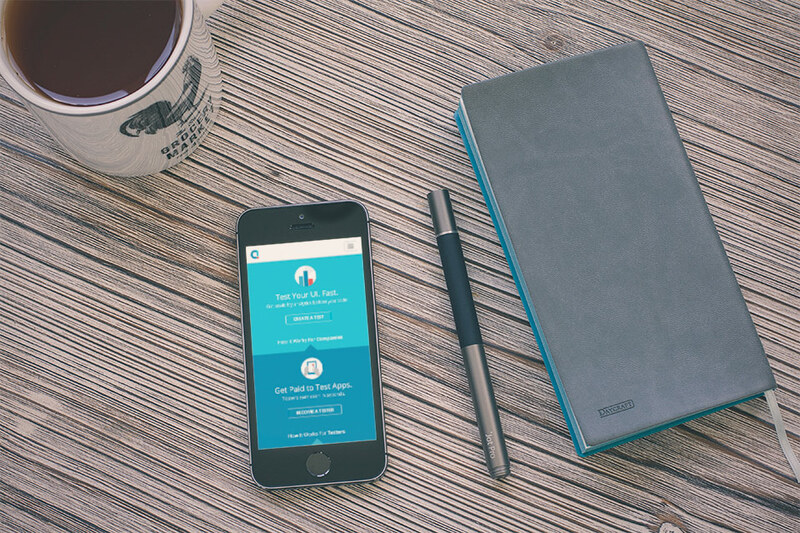 View the company on ProductHunt. It was very important to differentiate the two ways to use the app, as a tester or as a test creator. The homepage focused on these two paths equally. Because the application was originally conceived for testing mobile applications, having a responsive application available from any device was a must. Our original dashboard showed how many hits were successful on 1st, 2nd, or 3rd try. We also tracked how long it took users to successfully meet the target of the screen. After researching 25+ different companies—ranging from other usability testing platforms, to analytics and marketing tools—looking for a hole in the landscape we found a few gaps: what we could bring to the table. One thing people were looking for is a quick way to test mobile applications with diverse, non-user experience or design oriented pool of testers. Another things missing from most services, a way of incentivizing testers to use the platform, ensuring that diversity. We also knew that the testing platform would have to allow businesses to filter their tests, receive robust analytics, and remain cost effective. and planned the best path to start down: a web application centered around screen-based testing with hit maps and the ability to track the amount of time for users to successfully complete a goal. We wanted to not only get the project off the ground, but also ensure adaptability into the future with the capability of adding more features quickly. 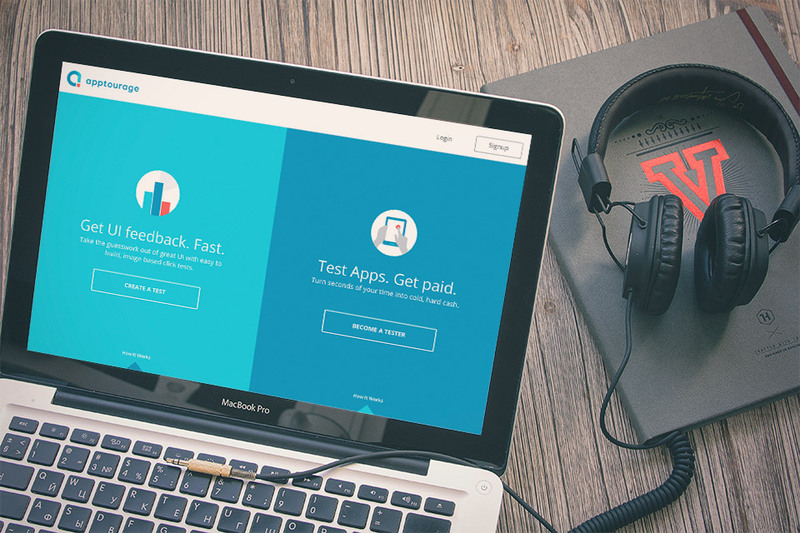 From there, we worked on the two sides to the experience: the necessary components for testers to complete tests and get paid doing so, and the test creation and analytics dashboard for designers and developers. I was specifically responsible for some market research, user flow, site architecture, wireframing, prototyping, design, and development. a corporate realm. I also refined the logo, which represents the user experience cycle, a loop of testing and prototyping to get results. feedback of what companies could really use in order to test their UI, we added functionality to create tests with multiple screens as a flow. 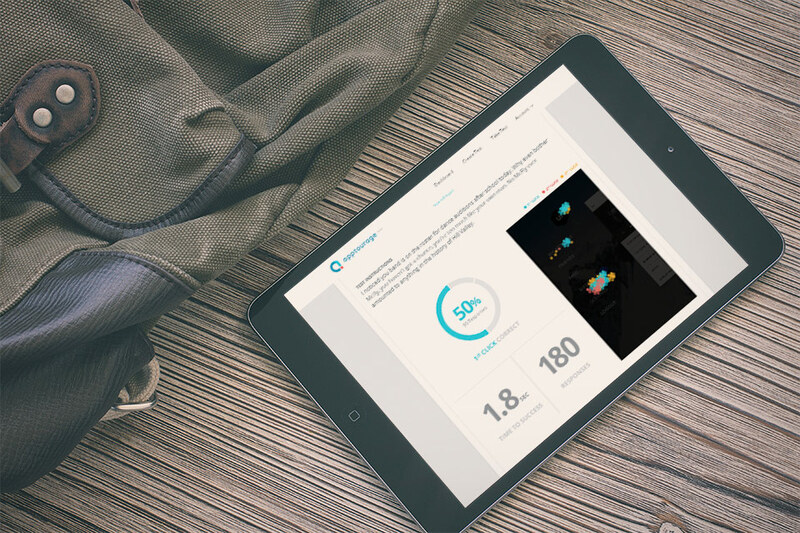 We also added A/B testing so that designers could compare UI against each other directly. More analytics about the performance of tests was exposed to creators in the dashboard with newly designed, easy to view graphs. Allowing for multiple screens in a flow allowed us to show user drop-off throughout the test, quickly revealing problematic UIs where users got lost. Creators could see the success of the test overall, as well as how individual screens performed. 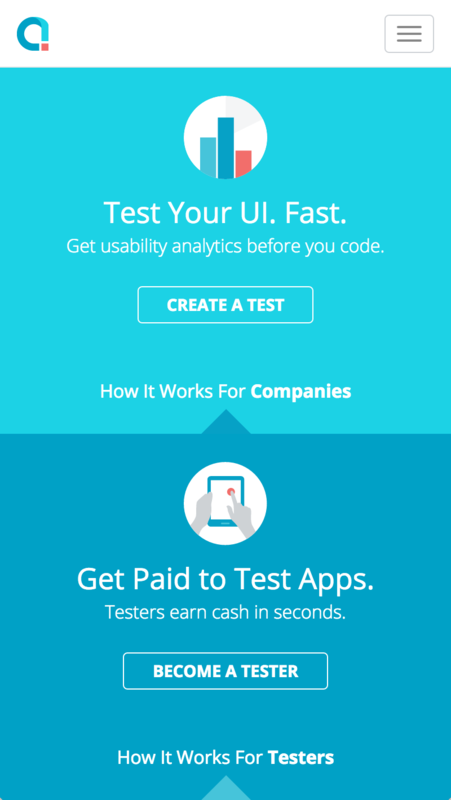 With A/B testing as well, designers and developers could see how different flows compare. With new ways to test, came new data. 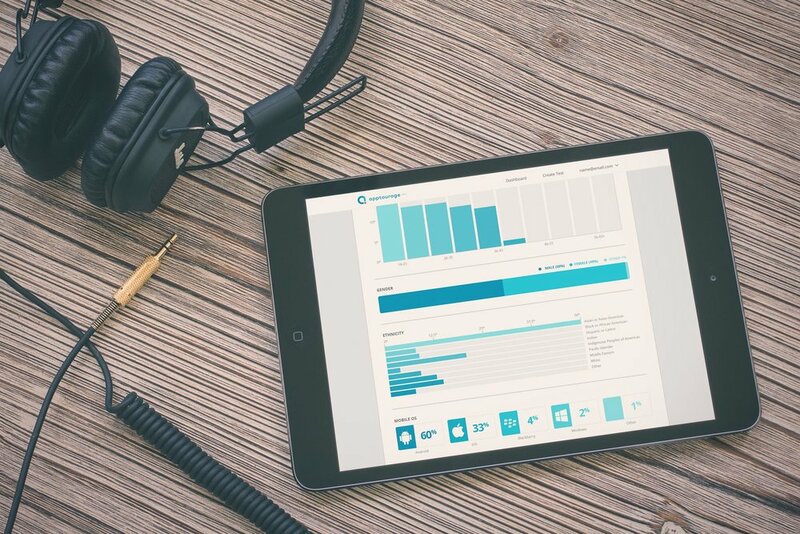 We designed to show test creators meaningful results easily, transforming what was previously raw statistics into easy to understand graphs. 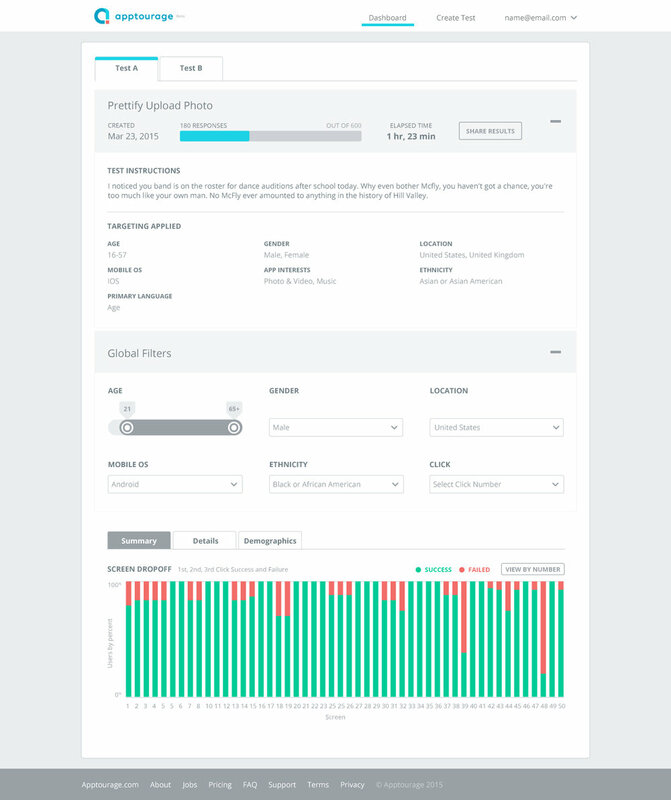 We also allowed the ability to filter based on markers such as age, device used, and more, to give better insight on how tests perform across demographics.